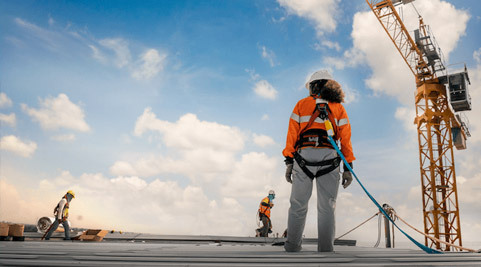 While injuries can occur in many professions, they are, unfortunately, significantly more prevalent in the construction industry due to the dangerous nature of the work. At Mizani Law Firm, we know how the insurance claim process works, we know what evidence to gather, and we know how to get the results that you deserve. There are a number of ways for even safety-conscious workers to suffer serious injuries on construction sites. It is important to consult with an attorney who has seen these accidents, and who understands how to handle the legal consequences of these types of cases. Workers’ Compensation: Typically, an injured employee may not bring a lawsuit against their employer because they are entitled to benefits provided by workers’ compensation insurance. A worker pursuing workers’ compensation benefits needs to prove only that an injury occurred, irrelevant of any surrounding circumstances. If the claim is accepted, the worker will be entitled to receive workers’ compensation benefits. Workers’ compensation claims may be brought in conjunction with claims against third parties to maximize recovery of damages. Personal Injury: In a personal injury lawsuit, the worker must prove that a third party was negligent, and this negligence led to their injury. Product Liability: If the injury was caused by a defective product, the injured party can bring a suit against any party in the chain of distribution. For example, if a ladder used on a construction site fails due to a defect and causes an injury, the injured party may be able to recover compensation from the retailer, wholesaler, manufacturer, or any other party in the chain of distribution. Wrongful Death: If a worker is killed on the job, his or her family may be able to bring a wrongful death claim on their loved one’s behalf. In some cases, multiple claims may be filed simultaneously. If you are looking for a knowledgeable Dallas and Fort Worth construction site accident attorney, Mizani Law Firm is available 24/7, and will travel to you to offer a free consultation. At Mizani Law Firm, we are committed to ensuring that our clients injured in a construction site accident receive the compensation they deserve. We have a proven record of success handling these claims, and are prepared to go toe-to-toe with the insurance company.